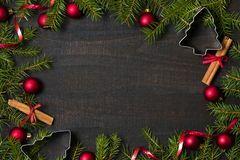 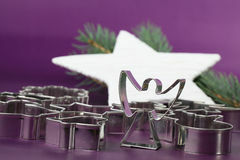 Cookie cutters on Christmas background. 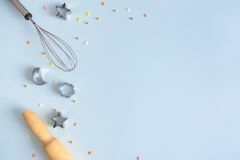 Recipe and cooking concept. 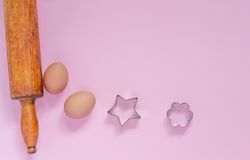 Closeup rolling pin near eggs and metal cookie cutters on pink background with copyspace Metallic cookie cutters different shapes, whisk and rolling pin on blue background. 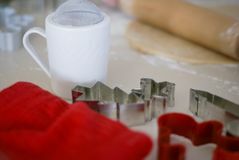 Bakery and confectioner concept. 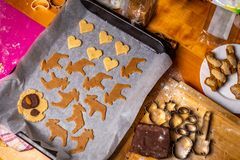 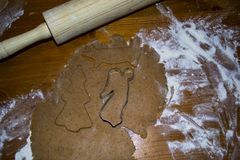 Copy space Baking of gingerbread cookies, Christmas background. 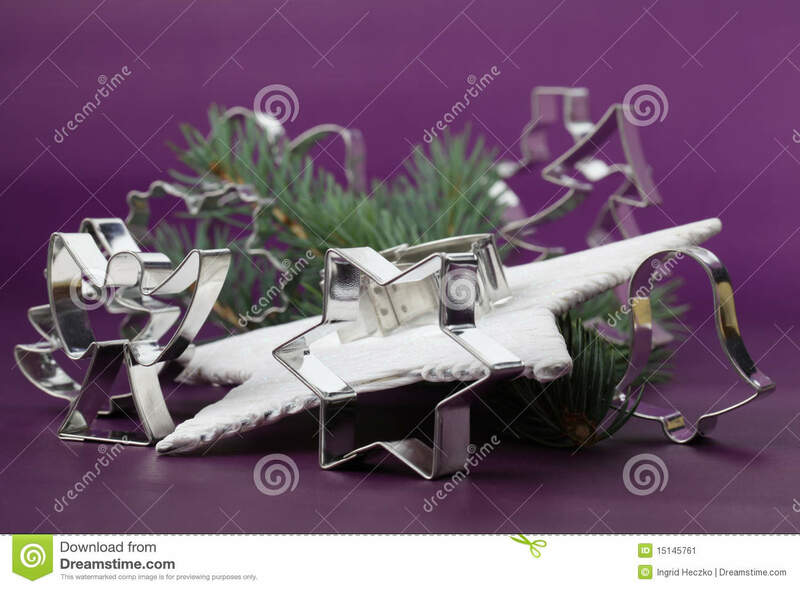 Christmas cookie cutters Dark rustic wood table flatlay - Christmas background with decoration and fir branch frame. 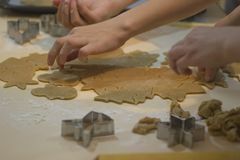 Top view with free space for copy Making gingerbread cookies. 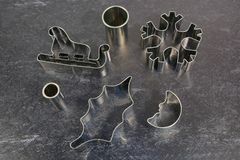 Christmas baking background dough and cookie cutters Baking traditional Czech Christmas gingerbread, pan with baking paper, forms, cutters, dough and other ingredients Red towel, white sifter, red and silver cookie cutters, rolling pin with dough with light background Cookie cutters on double-colored background.